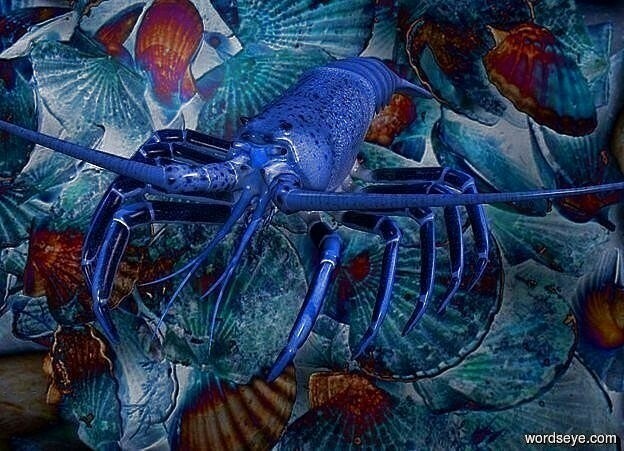 Input text: a delft blue lobster.a [FM] backdrop.ground is invisible.a huge quartz pink illuminator.sun is baby blue. me piace! Specialmente a Bernini in Piazza Navone.